The Queens World Film Festival (QWFF), which will screen more than 100 independent films, kicks off tomorrow night at the Museum of Moving Image. The festival, which runs from March 17 through 22nd, will feature 117 films from 30 nations. 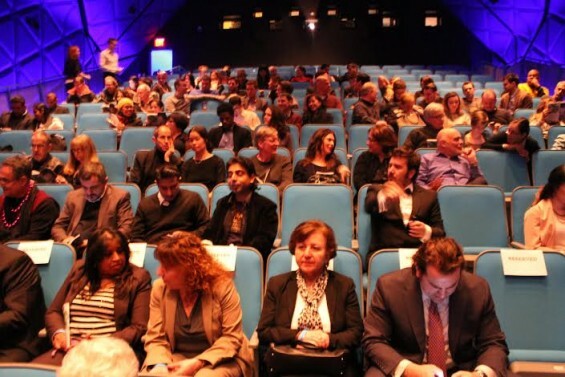 The films will be screened at three venues—The Secret Theater in LIC, P.S. 69 in Jackson Heights and MoMI. The event begins with the screening of six films at MoMI tomorrow night, starting at 8:00pm. The opening-night screening will then be followed by a party at Studio Square that begins at 10 pm. The festival will include about 50 films from the United States, with the remainder coming from countries such as England, Greece, Switzerland, Ukraine, Dominican Republic and China, according to festival director Katha Cato. “These filmmakers around the world are attracted to this festival since it brings an American audience to see their film,” Cato said. The year’s festival will also include 19 films that were made by Queens residents. Their work will be screened at P.S. 69—the largest of the three venues with 400 seats. It will provide them with the greatest exposure, Kato said. This year’s festival will include a special screening of ‘Bitter Sugar,’ by Cuban-American Leon Ichaso. It will be screened at MoMI at 7:30pm Wednesday. Ichaso, who is an internationally recognized filmmaker, will be honored at the festival for his work, which captures the human struggle of immigrating to the US. For the full listing of movies, please click here.